In 1977 Paul Watson founded the Sea Shepherd Conservation Society, a direct action group focused on marine conservation. Paul was an early and influential member of Greenpeace, crewed and skippered for it, and later was a board member. Watson argued for a strategy of direct action that conflicted with the Greenpeace interpretation of nonviolence, was ousted from the board in 1977, and subsequently left the organization. 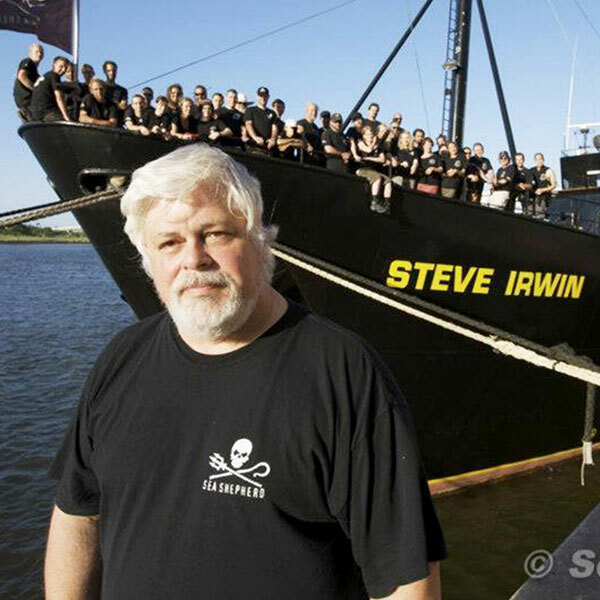 That same year, he formed Sea Shepherd Conservation Society. The group is the subject of a reality show, Whale Wars.